There is little doubt that two crashes of Indonesian and Ethiopian Airlines have raised the stakes for the manufacturer too high to be ignored and too delicate to be delayed. Since Boeing Max has been grounded all over the world, the first priority is to find the root cause of the accidents. Without that, all talk and action would be pre-mature. Accident investigation reports are of supreme importance. Second, Boeing has to ensure that every action linked to the defect of the machine, if any, must be brought to the public domain and any failure to do so will result in passenger’s erosion of minimum confidence in the Max aircraft. There are two categories of air accidents ~ avoidable and unavoidable. The former puts the onus on the error of judgment or gross failure as the man behind the machine. The second is attributed to a catastrophic failure of the aircraft owing to factors which are beyond calculation, anticipation or control of man or machine, or both, thereby resulting in an unavoidable accident. In both cases, however, post-accident inquiry or investigation do ascertain the root cause of the accident. They do recommend preventive and corrective measures to avoid repetition of human errors or recurrence of similar accidents. That’s how world aviation made progress over seven decades, thereby making it one of the best and arguably the safest means of connectivity and communication between continents and communities. It is imperative to analyse the factors behind air disasters and examine the investigation reports. thereon. However, how does one proceed, if the “cause” of an accident remains unknown? Or goes undetected? Or remains shrouded in mystery? Or the reasons cannot be ascertained within a reasonable timeframe? Even after successive crashes of the same type of aircraft, manufactured by the “best of the best” of the 102-year-old aircraft manufacturer in which all on board were killed? Before moving forward, therefore, it would be better to dissect the evolution of air disasters with reference to the pioneer commercial jet maker. The British four-engine de Havilland DH-106 Comet was the world’s first commercial jet which took off with a bang in the air, but landed with a thud on the ground. After its maiden flight on 27 July, 1949, and commercial service operation (BOAC) on 2 May, 1952, with fanfare, Comet faced the misfortune of losing three aircraft within a year of induction. On 26 October, 1952, BOAC Comet failed to be airborne from Rome’s Ciampiano airport resulting in the total loss of hull, though without any fatality. Again, on 3 March, 1953 another brand new Comet of the Canadian Pacific Airline failed to take off at Karachi airport, killing all on board. Canadian Pacific Airline cancelled its remaining order for the Comet. Significantly, however, both accidents were attributed to the category of avoidable air accident, specifically pilot error. The third accident happened exactly a year after the inauguration of the Comet in regular commercial service, when BOAC 783 Comet crashed fatally after taking off from Calcutta airport, plunging to earth, six minutes after take-off. On 10 January, 1954, again in Rome’s Ciampiano airport, BOAC 781 Comet crashed into the Mediterranean Sea 20 minutes after take-off, killing all aboard. BOAC voluntarily grounded its Comet fleet pending investigation into the causes of the accident. On 8 April, 1954 there was another accident when Comet G-ALYY, on charter to South African Airways and flying from Rome to Cairo, crashed into the Mediterranean Sea, near Naples, resulting in the loss of all 21 lives. The Comet’s airworthiness certificate was immediately revoked and the BOAC fleet grounded permanently. With the end of the Comet ended the post-Second World War British dream to take the lead in commercial aviation. Slowly and steadily, the combat aircraft sector of the British also started to decline. Today, except the BAE Hawk (advanced jet trainer), the London aviation industry has ceased to figure on the world map, and despite joint production of the Eurofighter and commercial Airbus with other Euro partners. The rise and fall of the British Comet signalled London’s rising aspirations, ending with failed aviation. From now on, it was the rise and rise of US aviation at the expense of the monumental failure of British experiment and experience. Yet, America also faced a failure in combat aviation. California- based Northrop Corporation “F-20 Tigershark single-seat light tactical fighter” stands out when the first of the two of its much-hyped flight “demonstration for sale” crashed on 10 October, 1984 in South Korea, killing its pilot. Post-crash investigation cleared F-20 of both mechanical failure and design fault, blaming it on error of pilot “black-out” owing to excessive g-forces. However, when the second F-20 fighter crashed on 14 May, 1985 at Goose Bay, Labrador, killing the Northrop pilot, the investigation once again attributed the mishap to the error of the man behind the machine. That was the end of the Northrop light fighter venture to compete with the likes of General Dynamics; F-16. In the context of Indian commercial aviation, what appears to have gone unnoticed is that the twinengine wide bodied Airbus-300 is arguably the only jet plane which has not killed a single passenger during its “flying life” of close to three decades notwithstanding the fatal crash of its “cousin” Airbus-320 (VT-EPN) on 14 February, 1989, near the old Bangalore airport, killing 89 of the 146 on board. The Indian Airlines Airbus- 300 also crashed twice. First on 29 September, 1986 on the Madras airport runway. The fully loaded Airbus-300 operating as IC-571, over-shot the runway, aborting take-off, after crossing V1 speed, meaning that once it had attained V1 speed, the takeoff should never have been aborted. But all on board survived. On 15 November, 1993, another Airbus-300, IC-440, made an emergency landing in the agricultural field near Tirupati after an engine flame-out as it ran out of fuel. Earlier, the aircraft had aborted landing in poor visibility at Hyderabad airport and thus failed to reach the designated alternate airport because of increased fuel burnout owing to a jammed-flap. All 250 aboard had a miraculous escape. Only two passengers suffered minor injuries.My personal experience on an Airbus-300 flight has been spectacular. Despite four emergency- like flight “situations” (1988, 1993, 1995, 1999) the aircraft made incredible “in-flightrecovery” thanks to the Indian pilots. They were aware of the “mood and behaviour” of their flying machine and the “distressed” plane responded to the “magic wand” of the magnetic man-behind-the-machine. Back to Boeing Max. There is little doubt that two crashes of Indonesian and Ethiopian airlines have raised the stakes for the manufacturer too high to be ignored and too delicate to be delayed. Since Boeing Max has been grounded all over the world, the first priority is to find the root cause of the accidents. Without that, all talk and action would be premature. Accident investigation reports are of supreme importance. 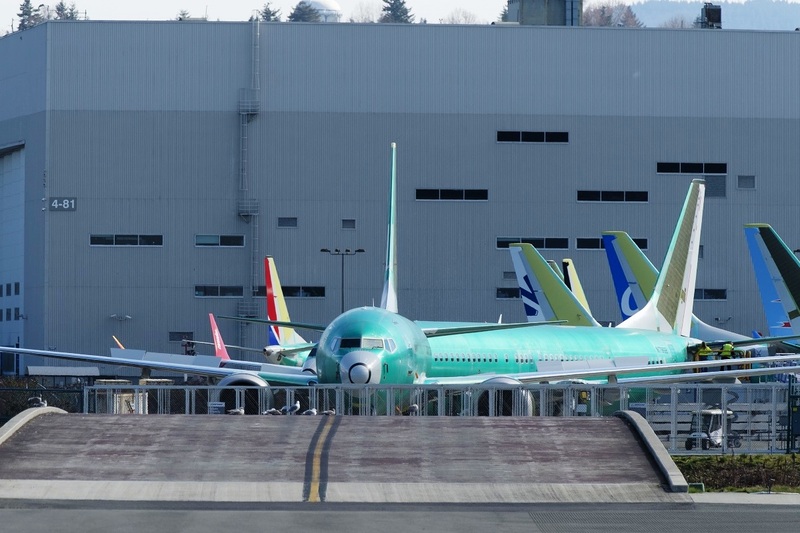 Second, Boeing has to ensure that every action linked to the defect of the machine, if any, must be brought to the public domain and any failure to do so will result in passenger’s erosion of minimum confidence in the Max aircraft. One wishes Boeing Max to fly the traditional Boeing way of safety and comfort, and not be a repeat of the British Comet of the 1950s and Northrop F-20 Tigershark of the 1980s.